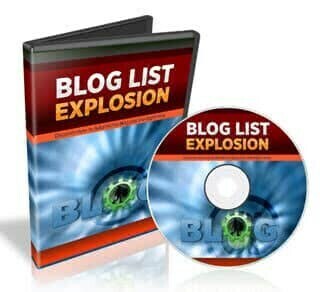 Blog list explosion is a 9 part video tutorial series which will explain step-by-step how to build a successful niche blog, build a list and make sales. 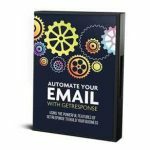 As you know, the money is in the list, but it doesn’t happen overnight, and there’s no magic button to press that will generate a niche list. Having your very own online ATM that generates cash while you sleep is not a dream. It’s not hype. It’s a reality. With that said, I have created a video training course that has condensed years of mistakes and time so that you don’t have to do the same. It’s easy to want to sell a product to a larger audience, but the fact is that the more general you go, the more you will lose your audience and conversions. If you target deer hunters as a niche and say, “How to Shoot a Deer and Increase Your Aim within 30 Days,” it’s likely that deer hunters would be quite interested in this. But if you try and sell something general, like “How to Increase Your Gun Aim in 30 Days,” you may reach a larger audience, but because you’re reaching a larger audience, there is going to be less conversions. So what I’m trying to say here is that if you find a niche of avid buyers that love to buy in that niche, then that’s powerful. Nothing has been left out. You’ll gain access to a step-by-step video course that shows you click-by-click how to setup your WordPress blog and begin building your niche-based list. So, with that said, grab this blog list explosion video series now and start building your high converting niche-specific list through WordPress blogs the right way. You’ll gain access to the full 9-part step-by-step process to help you zoom forward fast. 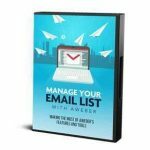 Finally, Discover how to Build Profitable Niche Email Lists through WordPress Blogs and Profit from them…Starting Today!” This video training course will show you, step-by-step, how to set up a WordPress blog, build a list and convert that list into sales. You can view this blog list explosion video tutorial series immediately after your purchase, so you don’t have to wait until I wake up or even be in the same time zone! Simply watch me, step-by-step, as I reveal to you my secret system.